That is just speculation. It must also be taken into account that those words are two months old. Not to say that the game could somehow have regressed and be less of a finished product, only that plans change. With a new piece of hardware coming out on the horizon, I’m sure Nintendo’s plans change on almost a daily basis. For those who have yet to play a Pikmin game, you are truly missing out, as the series is truly one of Nintendo’s overlooked gems. 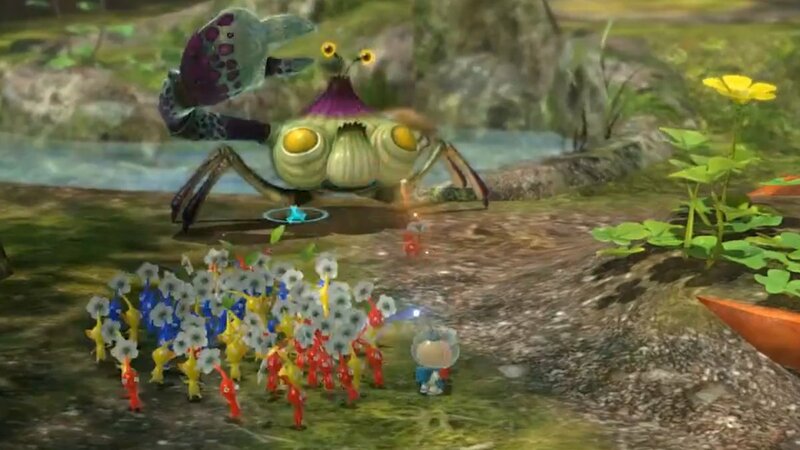 As an astronaut on a hostile alien planet, Pikmin tasks the player with taking command of mobs of little plant-men, aka “Pikmin”, in order to fend off monsters and accomplish objectives. If Miyamoto is indeed correct, we should be hearing more details regarding the next installment fairly soon.